Try cooking these delicious treats at home. Kokurki is a dish that is easy to make and even easier to store. This recipe will show you how to keep boiled eggs fresh for a week without preservatives. Volgan kokurki - which are like little pies made with rye dough - first appeared in medieval Rus after the adoption of Christianity. The tradition of making kokurki is closely connected with Easter. After the holiday a family often had some leftover painted eggs that they didn't eat during the celebrations. 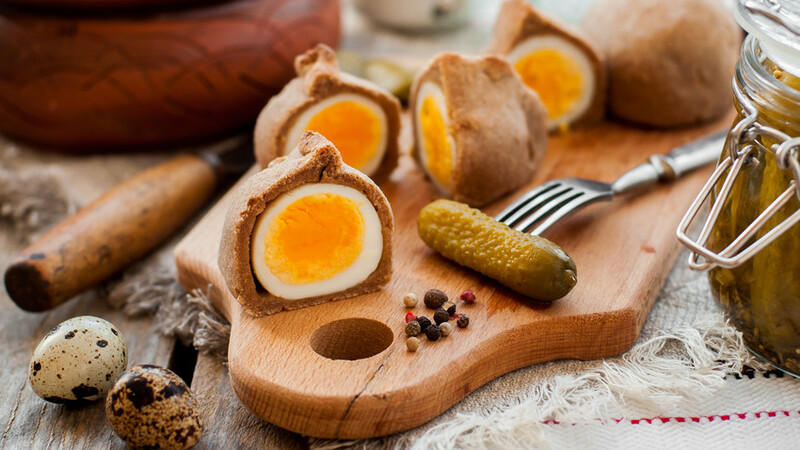 In order not to waste the precious food, housewives baked kokurki, wrapping boiled eggs in a rye dough "shell." That way the egg inside the pastry stayed fresh for a week, if not longer; moreover, thanks to the particular qualities of rye flour the kokurki did not become hard or moldy. For this reason it became a staple food people took on long journeys. Also, kokurki were traditionally served with soup. There is a kokurki story going back to Russia's imperial past - Valentin Pikul tells it in his book Word and Deed. During the reign of Empress Anna Ioannovna, when the young ruler had just ascended the throne, it so happened that the military had not been paid their salaries for a long time. And after yet another row with her husband, a captain's wife, Ulita Demianovna Apukhtina decided to go to pay her respects to the Empress and plead with her to pay the captain his salary. To arrange a meeting with the empress, Ulita Demianovna first went to see her distant relative, Anna Fedorovna Yushkova, who was Anna Ioannovna's favorite. And apart from other presents, she took homemade kokurki with herto treat her benefactor. Of course, Yushkova remarked to the captain’s wife that she had stopped eating such simple food a long time ago - but she didn't turn down the treat and arranged a meeting with the Empress. Why not try cooking it yourself? Dilute the sour cream with the water and add salt. Mix with the rye flour and knead into a thick dough. Peel the boiled eggs and leave to cool. Divide the dough into six equal parts and roll into thin sheets 3-5 mm thick. Bake at 180 ℃ for 20-25 minutes. Brush the kokurki, when ready, with butter. Don't forget to check out our text on Paskha, one of the most important dishes on a festive Eastern table.